Sick of watching Netflix on your laptop but not willing to break the bank on a Smart TV? Here’s the solution. As our TV watching habits edge ever more away from live watching and more and more towards on-demand style bingeing and casual viewing, it’s no surprise that consumers are seeking out more convenient and innovative ways to access quality content than ever before. And we’re not just talking about subscription services. It’s all very well and good to be signed up to the likes of Netflix and NOW TV, but what’s the point of having access to all this great content if you only have your laptop screen on which to watch it… or worse - your tiny phone screen on the commute home! Second only to the big cinema screen, for most of us, watching our favourite TV shows and movies is best done on an actual TV set, preferably with family and/or friends. Though it’s true that Smart TVs are becoming a lot more prevalent, there are still plenty of us out there using older sets that just don’t cut the mustard when it comes to modern-day TV watching habits. The good news is you don’t have to run out and drop a few hundred on a brand new Smart TV to keep up because there are plenty of ways to smarten up your standard set with the right tech tools, at a fraction of the price! There are tons of different plug in streaming devices designed to enhance your TV experience and it can be a headache trying to figure out which one is best suited to your needs - especially when there are hundreds of illegal knock-offs that will leave you with a less than quality experience! That’s where we come in. Down below you’ll find a selection of different streaming media players and devices that we’ve chosen based on a number of different needs and budgets - and don’t worry! All of them are 100% legal. Don’t be fooled by the title or its attractive price, Google’s Chromecast is anything but basic! The Chromecast is an amazing, no fuss, quick solution to turn any TV with a HDMi port into a Smart TV. The key is in the name, as once the Chromecast is plugged into your telly, it allows you to ‘cast’ the screen and audio from any compatible mobile device to your TV’s screen over your wireless broadband network. What does that mean? Well, for example, let’s say you’re watching Netflix on your laptop browser but you’d prefer to watch it on TV. All you have to do is click the cast button that you’ll find in the top right-hand corner of your browser and your entire browser screen will be mirrored onto your telly. It also works with smartphones, iPads and tablets and you can use your device as a remote control to pause/play etc. as long as the app you are using supports Chromecast. Cast YouTube, Netflix, Facebook videos etc. with ease. The standard version is only around €40. Happy days! If you’re looking to amp up your resolution quality and you have a 4K TV, the Chromecast Ultra costs about €80. Most electronics shops will stock them. Here’s one from Powercity. 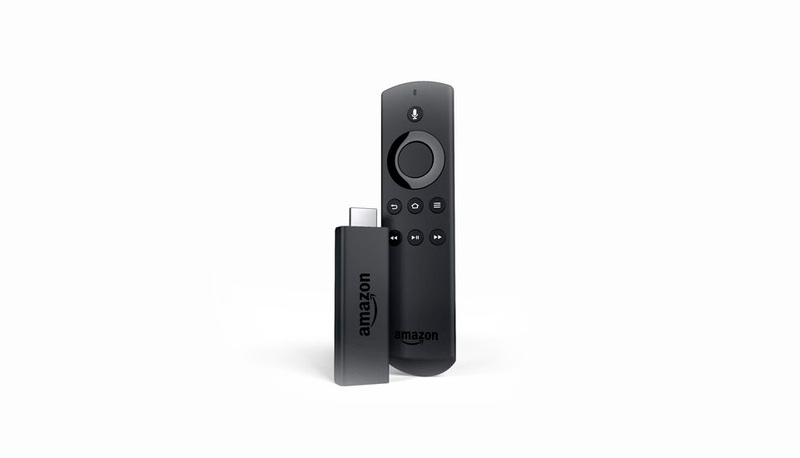 The Amazon Fire TV Stick is a solid streaming media player with a weeny price for what it’s offering. As with the Chromecast, all you have to do to get up and running with the Fire Stick is to plug it into your TV’s HDMI port and away you go! The Fire Stick boasts over 7,000 apps and games including favourites like Netflix, All 4, YouTube and more. Handily, you can also bring the Fire Stick with you when you travel. Plug it into any TV and connect to WiFi and you can pick up right where you left off! Like the Chromecast you can choose between two models. The standard model comes in at around €35 and if you want to upgrade, the higher-end model which allows for more memory and 4K streaming, comes in at about €70. As an Amazon product, your best bet is Amazon! Combining the best features of Chromecast and the Amazon Fire TV Stick and more, while still maintaining a relatively small price tag, the Mi Box gets our best value for money seal of approval. So what makes the Mi Box so great? 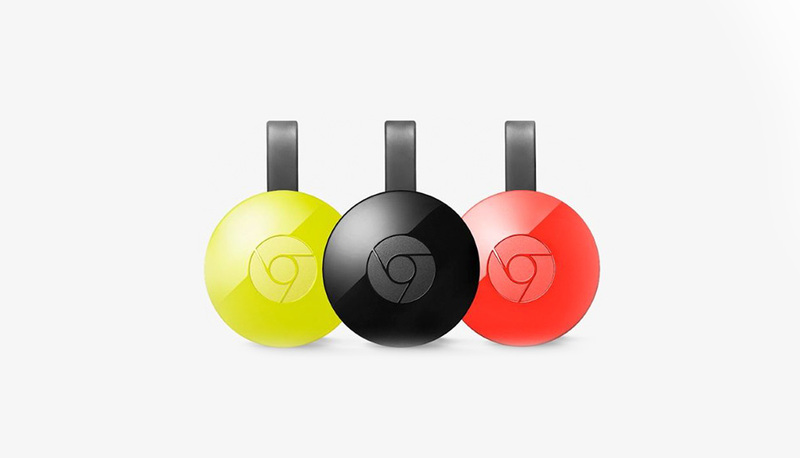 Well, for one, it comes with Chromecasting capabilities built into it as standard, in addition to tons of other great features; so, if you love the handy features of Chromecast but wish it came with a bit more functionality this could be the solution for you. Like the Amazon Fire TV Stick, it has a voice-controlled remote, making finding exactly what you are looking for that bit quicker and easier, only here you are using Google assistant rather than Alexa. As an Android device, the Mi Box works off an Android operating system and supports Google Play Store. This means you have access to Play Store apps you’re familiar with if you’re already an Android user. The great news is, if you’re looking to stream in 4K and HDR you won’t have to pay for a higher end model as the Mi Box supports both as standard. If that wasn’t enough, the Mi Box is also a great choice for gaming and they even offer a separate Bluetooth gaming controller if that’s your thing! 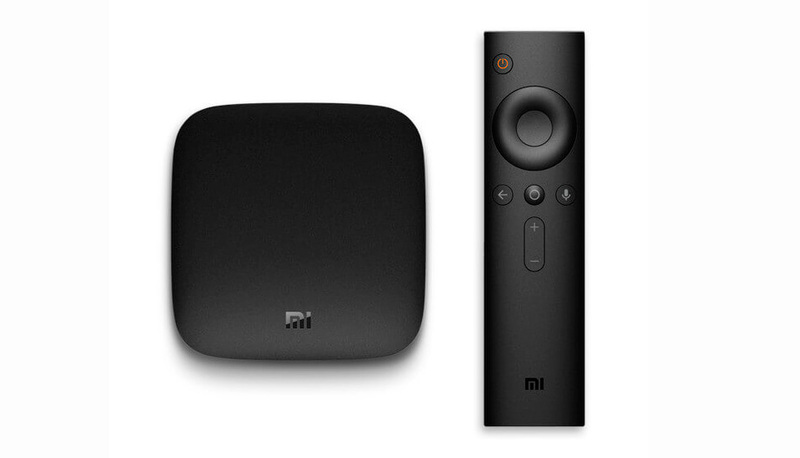 Finally, home cinema enthusiasts take note; the Mi Box also supports DTS and Dolby Surround Sound. With so many great features, you’d think the Mi Box would come with a hefty price tag but surprisingly, you can pick one up for around €90. Not too shabby. You can find Mi Boxes available for purchase and delivery on Amazon. As one of the more established streaming media players on the list, it’s also on the pricier end of the spectrum. Like most of Apple’s products, you’ll get the most out of it if you have other Apple products with which to interact. 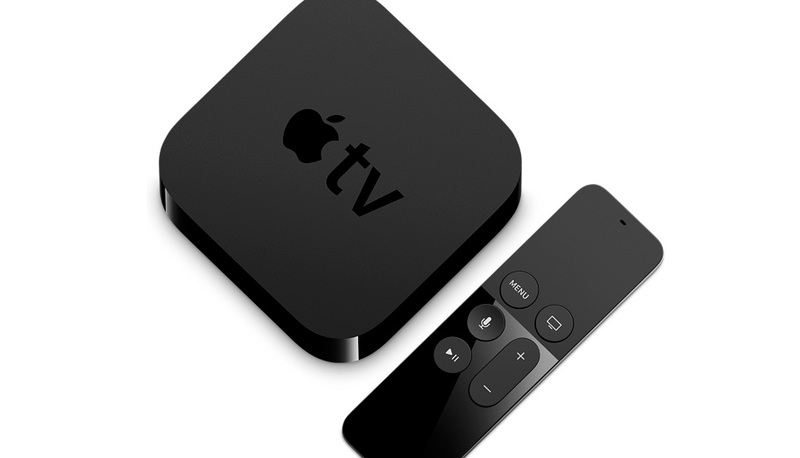 If you’re a bonafide Apple connoisseur, the Apple TV will no doubt be an invaluable addition to your Apple ecosystem. Like the other devices listed, Apple TV offers a host of different apps to stream content on, downloadable through the App Store. You can also access all of your music through iTunes. You can control Apple TV not only using the remote provided but also with any Apple devices you have such as laptops, iPads and iPhones. Using Airplay you can stream whatever’s on your devices’ screens to the TV, making it super easy to share photos, presentations - you name it. Like the Mi Box, Apple TV also offers a separate game controller for gamers. Nice one! As mentioned, Apple TV is definitely on the pricey side, coming in at €159. As compared with other devices on the list, it doesn’t represent the best value for money - especially considering it doesn’t offer anything extra or particularly special other than the fact it supports other Apple devices making it probably best suited to diehard Apple fans. That being said, for your €159 you do get 32GB of storage which is four times more than any device we’ve mentioned so far. You can pick one up directly from Apple’s site. If you really want to go all out and money isn’t an issue when it comes to streaming media players, the NVIDIA SHIELD is your man - especially if you’re a big gamer. Coming with all of the great features you’d expect from a premium Android streaming media player (access to tons of great apps from the Play Store, in-built screencasting capability for multiple device interactions, Google assisted voice control) the NVIDIA SHIELD really knocks it out of the park when it comes to speed and image resolution capabilities - and it would want to with its hefty price tag. Over 300 GameStream-optimised games are supported on the system making the NVIDIA the definitive streaming media player for gamers. 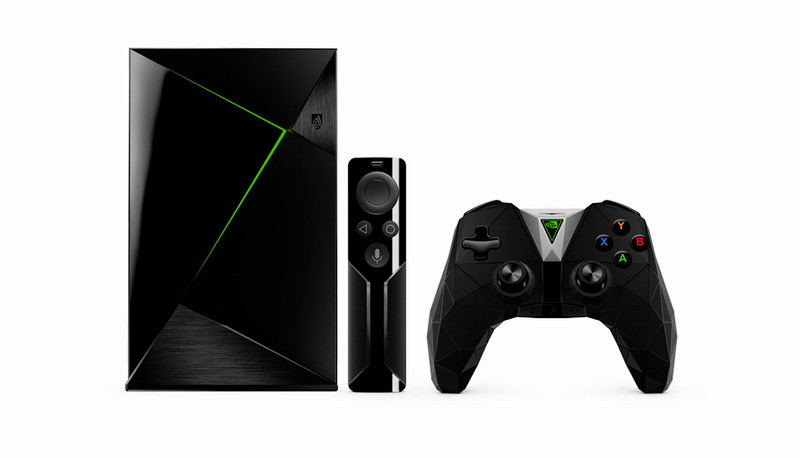 The most expensive device on the list, the NVIDIA SHIELD comes in at around €205. The device, a voice-controlled remote, as well as a game controller come included in the price. Again, Amazon is probably your best bet price wise. Before you go rushing off to get yourself a top-notch streaming device, remember that all of the above devices work off of wireless broadband connections so you’ll want to make sure that your broadband connection speed it up to the task! Carry out a broadband speed test here and if you feel like your connection is underperforming, why not check out these tips for speeding up your connection? Failing that, compare broadband providers and switch today! It’s super quick and easy, bringing you one step closer to accessing amazing content with ease.